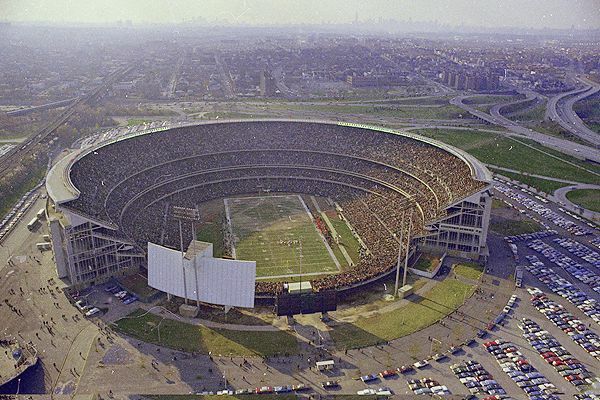 Throughout the Jets 40 year history, the team has never had a stadium of its own. After the loss of the New York Giants (MLB) in the late 1950s, New York City had only one baseball team. Four lawyers, including William Shea were appointed to acquire a baseball franchise for the city. Meanwhile in 1959, the Jets, originally known as the Titans were founded. They played their first game at Polo Grounds in September 1960. By the early 1960s, New York was awarded a baseball franchise, the Mets. However one stipulation was that the team would play at a new stadium within the Mets first several years of existence. The main reason why the Giants (MLB) left for San Francisco was because Polo Grounds was deteriorating rapidly. By November 1961, construction began on a multipurpose stadium in Queens, NY. Both the Jets and the Mets shared Polo Grounds for two years. Originally known as Flushing Meadows Park, the Mets played the first game at the stadium in April 1964. The New York Jets made their debut at the stadium on September 12, 1964 against the Denver Broncos. The five tiered stadium seated nearly 60,000 fans for football. It was the first stadium of its size to have an extensive escalator system, being able to convert from a football gridiron to a baseball diamond by two motor operated stands and in which every seat was directed at the center of the field. The Jets and Mets shared Shea Stadium for 19 years. 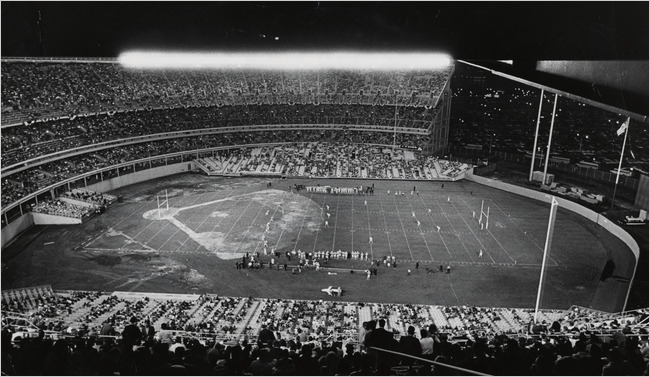 After failing to get money to renovate Shea Stadium, owner of the Jets, Leon Hess decided to move his team to Giants Stadium, home of the New York Giants (NFL). The Jets played their last game at Shea Stadium on December 10, 1983. The New York Mets continued to play at Shea Stadium for over 25 years. In 2009, the Mets moved to Citi Field, constructed adjacent to Shea Stadium. In winter 2009, Shea Stadium was demolished in order to create additional parking for Citi Field.